While low oil prices have weighed heavily on many of Dubai’s trading partners and neighbours, the emirate delivered a strong economic performance in 2016, according to the Dubai Year in Review 2016 report published by Oxford Economics. “This was buoyed by growth in key non-hydrocarbons segments, which provided an important buffer against external challenges,” it says. Full-year growth was expected to reach 3.7 percent, according to the IMF, up from 3.5 percent in 2015 and well above the projected average for the UAE of 2.4 percent. 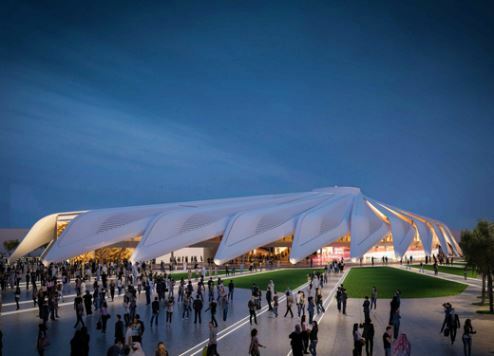 Additional infrastructure spending in the lead up to Expo 2020, together with ongoing expansion in areas such as retail and tourism, is expected to support new growth in the coming year and beyond, the Oxford Economics report states. The retail industry was a particularly bright spot for Dubai's economy, with full-year growth for 2016 forecast to reach 7.7 percent, data from the UK-based Centre of Retail Research reveals. Further growth appears likely in the near term, with a report from the Dubai Chamber of Commerce predicting a compound annual growth rate (CAGR) of 8.1 percent between 2017 and 2020. Online retail has been identified as a strong investment opportunity due to current low penetration rates. Online shopping currently accounts for less than 2 percent of Dubai’s total retail sales by value, Dubai Chamber figures reveal, which is significantly lower than in US and European markets, where online retail penetration rates are between 17 percent and 20 percent. However, medium-term growth for internet retailing is forecast to increase at a CAGR of up to 34 percent. The emirate will also be looking to its construction sector to help counter external headwinds in 2017, says Oxford Economics. The pipeline of private and Dubai government-backed projects has put the industry on course to report growth of at least 4 percent this year, with further expansion expected in the lead-up to Expo 2020. Dubai’s economic diversification strategy is focused on retaining its position as a major player in areas such as trade and logistics, tourism, retail, entrepreneurship and technology. In the 2017 budget, launched on December 21, the Dubai government announced a 27 percent increase in annual spending on infrastructure ahead of Expo 2020 and an overall rise in expenditure of 3 percent. Funding for research and development will be increased by US$190.6 million, while exports will receive an additional $4.4 billion. Greater outlays are also expected in industry. In June, Dubai launched its 2030 Industrial Strategy, which aims to transform the emirate into “an international hub for knowledge-based innovation and sustainable industrial activities”. The strategy focuses on six subsectors: maritime, aerospace, pharmaceuticals and medical equipment, fast-moving consumer goods, aluminium and fabricated metals, and machinery equipment. The government is looking to create more than 27,000 specialised jobs as a result of this initiative. An investment drive is also under way to grow Dubai’s tourism industry. Several large-scale theme parks opened their gates in 2016, giving the emirate an important niche market. With little in the way of regional competition, Dubai has cornered much of an important family demographic that, until now, would have needed to travel to the US or Disneyland Paris for a comparable experience. In September, the world’s largest indoor theme park – the $1 billion, 140,000-square-metre IMG Worlds of Adventure – opened in the City of Arabia, on the outskirts of Dubai. This was followed in December by the launch of the $3.5 billion Dubai Parks and Resorts. Located in Jebel Ali, its footprint spans some 2.8 million square metres, with three internal parks – LEGOLAND Dubai, Bollywood Parks Dubai and Motiongate Dubai – now open for business. They are connected by Riverland Dubai, which also features the UAE’s first theme park property, the Polynesian-themed Lapita Hotel, operated by Marriott International under its Autograph Collection. A fourth park, the $1.7 billion Six Flags Dubai is under construction and scheduled to open in 2019. At the end of last year, plans were revealed to open IMG Worlds of Legends adjacent to IMG Worlds of Adventure, further consolidating Dubai’s position as the world’s fastest growing theme park destination. “We are committed to bringing the boldest, most dynamic attractions to Dubai, combining innovative rides with value entertainment for the whole family,” says Ilyas and Mustafa Galadari, owners of the Ilyas and Mustafa Galadari Group.